5 more days until the premier of Beauty and the Beast. I am full on FREAKING OUT with excitement. 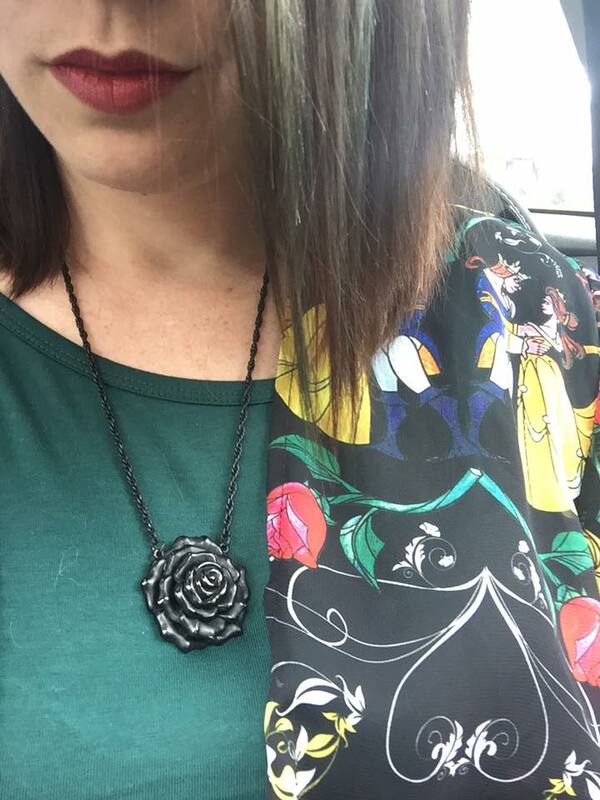 Yesterday I rocked my Belle & Beast kimono with a black rose necklace. Can’t wait to put on my premier day outfit and share it with you all! Remember: “You do not lose hope, love. If you do, you lose everything. Click here, my book loving friends.